Oh what a beauty this one is! I can only imagine how luxurious it is, with the voile combined with the bamboo batt - lovely! Congrats - I have no doubt you will enjoy this one ALOT! 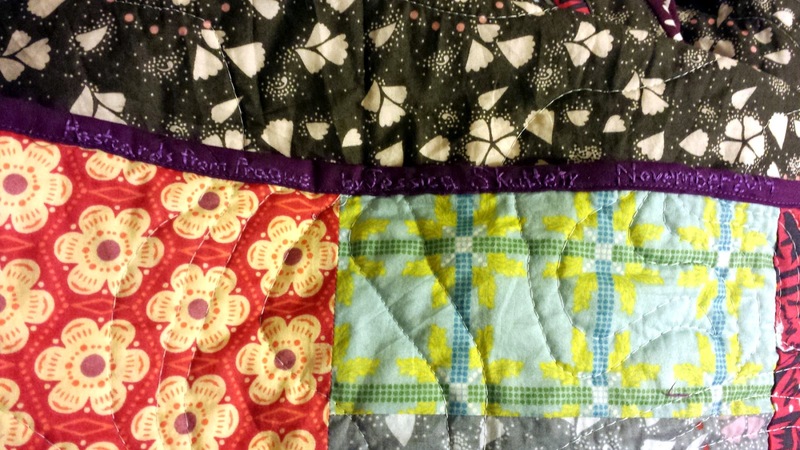 Totally adding a voice quilt to my bucket list! This quilt turned out so lovely! The pattern really does work well for all those prints. I totally agree with binding it with quilting cotton. I know the voile was different enough, but did you notice much difference with the bamboo batting? I'd like to try it sometime. And your hair looks so cute! That turned out beautifully. You did such a great job on it. Beautiful. Thank you for sharing. I'm going to have to make voile quilt one of these days. Love It! The colors are so incredible. I think I just added it to my list!! I love this quilt and I love your haircut! The name is so perfect. Have you been to Prague? It's an amazing city... if you go, you should take this quilt to take a picture of it in it's namesake city :) I'm excited to try the bamboo batting now... must finish our bed quilt, stat! 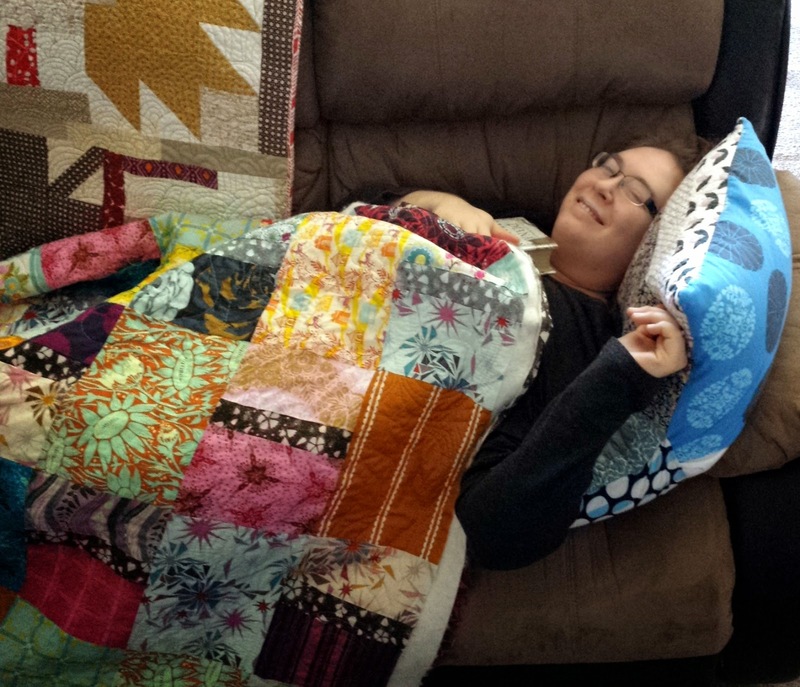 You have really made the most of your beautiful fabrics - great choice of quilt design. The idea about stitching the label info on to the binding is genius!! Very pretty quilt. Happy Thanksgiving! This quilt is beautiful, but most of all, it looks so-o-o comfortable!. Great label!